Christine has worked at Yorkshire Laser since 2009 and implies she will be with the company until she dies! As the only female in the office and the person in charge of the purse strings, Christine is secretly the boss but allows the men to think they are! Having worked in accounts since leaving school (her first career choice being hairdressing until she was talked out of being on her feet all day) she is a master of tightening budgets and controlling costs. 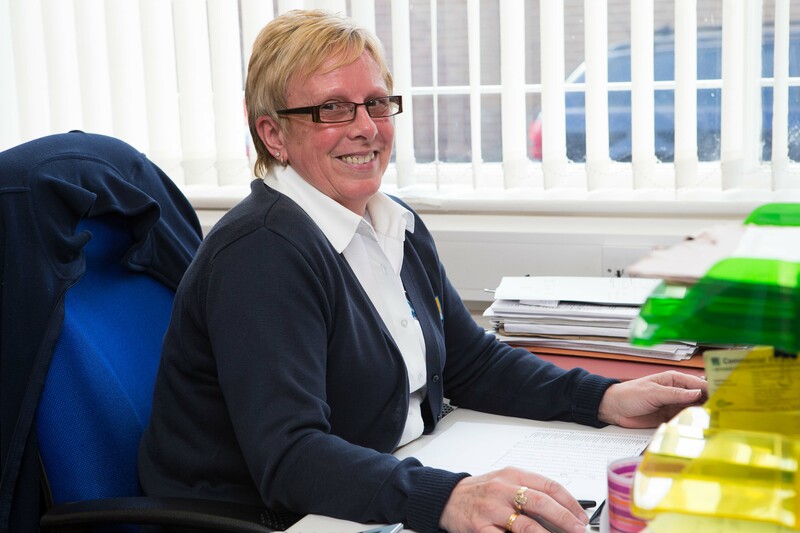 Her enthusiasm for her role is largely due to the relaxed, friendly atmosphere at Yorkshire Laser – she puts this down to good management, family values and success. When Christine is not in her counting house she likes to keep fit, be it chasing after her grandchildren or attending Bokwa and Combat classes at the gym. Occasionally she might be tempted to go out cycling but only if is not too windy. Monday nights will find her cosy on the sofa fuelling her soap addiction!